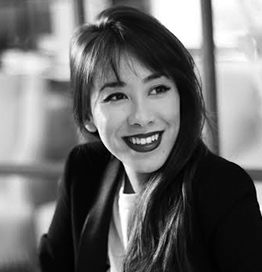 Natalie Wong is a UK mixed media artist and fashion buyer based in Hong Kong. Originally from London, she moved to Asia in 2012. Wong’s work has been featured in several international publications including GQ, Esquire, HYPEBEAST, Highsnobiety, Marie Claire, MISSBISH and Lifestyle Asia. In November 2016, Wong was sponsored by Monster energy drink (PowerPlay) to hold her first international exhibition at Johannesburg’s largest street culture event, the Griffin Sessions. Mid-2017, Wong was brought on as a fashion buyer for the upcoming Warner Brothers’ film ‘CRAZY RICH ASIANS’. The film is based on the 2013 best selling New York Times’ novel by Kevin Kwan. The film is the first Hollywood movie to feature an all-Asian cast in 25 years. Wong was responsible for assisting the costume team to source outfits for the main female leads including Michelle Yeoh, Constance Wu and Gemma Chan. Wong was commissioned by NIKE to create a sculpture to celebrate LeBron James’ Asia Tour in August/September 2017. In February and March 2018, she held her first solo exhibition of her latest work – ‘Neon Rap Portraits’, in Hong Kong. Wong was interviewed and her artwork, ‘100 Paper Sneakers’, was filmed by Emmy award winning film director, Seth Epstein for the upcoming 2018 documentary – ‘Unbanned: The Legend of AJ1’. The documentary features global icons such as Spike Lee, Michael B Jordan, Tinker Hatfield, Mark Wahlberg, DJ Khaled, Russell Westbrook and Michael Jordan. The documentary premiered at the 2018 Tribeca Film festival in New York.